15 tracks: The Gift Of Years * Santa Bloody Claus * A Reason For It All * Leaving Nancy (live) * He’s Nobody’s Moggy Now * No Man’s Land (The Green Fields Of France / Willie McBride) * Singing The Spirit Home * If Wishes Were Fishes * Now I’m Easy * Safe In The Harbour * Silly Slang Song * Glasgow Lullaby * One Small Star * Big In A Small Way * And The Band Played Waltzing Matilda. 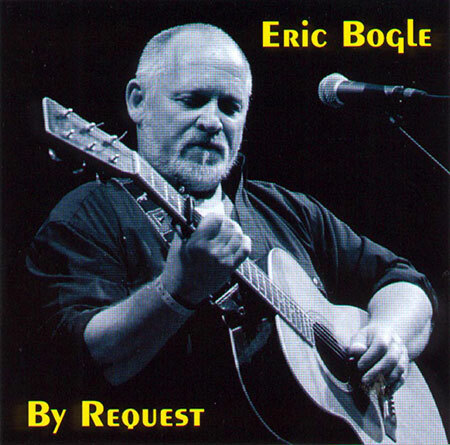 By Request is a collection of Eric Bogle’s most requested songs, all of which feature on his earlier albums The Eric Bogle Songbook vols 1 & 2. Another of his songs The Green Fields of France (No Man’s Land / Willie McBride) was recorded by The Furey Brothers and spent an incredible 26 weeks in the Irish charts, including 10 weeks at No 1.